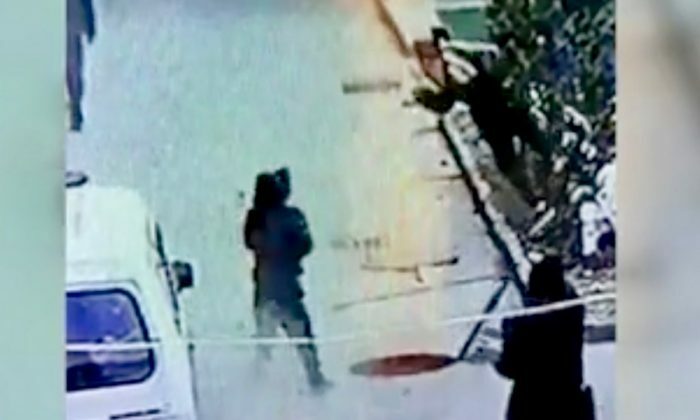 A boy in China lit a firecracker on a manhole cover and blew himself into the air. The boy met with the unintended consequences of lighting a firecracker near a sewer. Methane gas from organic matter under the ground interacted with the flame to create a fiery explosive force, according to the explanation in the video footage posted on a Chinese media website. A friend or local comes over to see what the boy is doing and gets his jacket blown sideways before running from the scene. Methane is a common chemical compound and is the main component of natural gas, according to Encyclopedia Britannica. Some natural sources of methane include wetlands areas, the termite digestive process, volcanoes, and the ocean floor. Daily Mail reported that the exact location of the place seen in the footage is unknown and that there were no reports indicating the condition of the child after the incident. Daily Mail said the video was shared on Weibo to remind people to be careful while celebrating Chinese New Year.